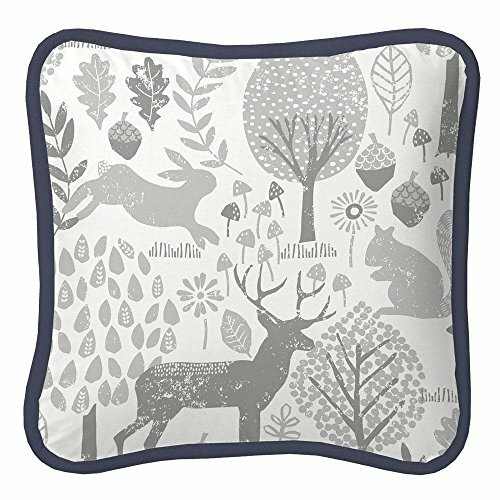 Pillow front in Gray Woodland Animals fabric, with reverse side in Gray Woodland Animals. Edged in Solid Navy piping. Designed to coordinate beautifully with your crib bedding, this decorative pillow is a great way to add an extra-special touch to your nursery. Approximately 12" x 12"; pillow form included. For decorative use only, and should not be left in crib with baby. Our decorative pillows are made with recyclable hypoallergenic polyester fiberfill.